Like everyone else, I've been speculating about it a lot. So why not make a thread for just that? Geonosis is going to be a larger map then any other and conquest is a larger gamemode. Do you guys think it'll be the only map for it sense the others for galactic assault aren't as big? Also, will there be heroes? There were in the original battlefront 2. It would take a lot of fun away if there weren't any. They make for epic and unique battles. I mean who doesn't want to fight General Grevious or Darth Maul with Obi Wan over an outpost...or lead a group of clones. This thread will be 100 percent dedicated to conquest so keep it relevant and if you think of any other questions than mine make sure to bring them up. The ga maps are huge. 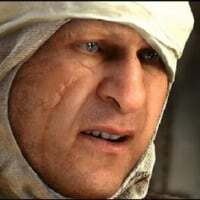 Someone compared bf2005 most eisley to bf17 and bf17 was way bigger and that's not even going off the full size of the map. I think they could put it on most GA maps. They are a lot bigger than you realise actually - because you only really see and play on about 1/4 of the maps at a time. I'll throw out a couple of estimates - from the first Droid spawn to the final Clone spawn, Kashyyyk is probably 1500-2000 metres long. Naboo is about 1000 I guess, and has all the side streets. Mos Eisley is huge - it's I'd guess about 1,000 metres long and 750 metres wide. Hoth, Crait - both very long maps and have side rooms and corridors once you get inside, not to mention all the tunnels on Crait (and Hoth - there are some caves). All the Walker Assault style maps are pretty long. So yeah, I think Conquest will probably be on all or most current maps. I'd guess it's 32 vs 32, with more Reinforcements available and if Heroes are available, maybe 4 at any time per team? Plenty of vehicles to, and Ben mentioned Capital Ships at EA Play so there might be some aerial objectives which would be nice, being able to directly contribute to the game from the air rather than just doing strafe runs. I actually can't wait tbh. I think there are a few GA maps that could work very well in Conquest due to their size, shape, and points of interest. Yavin IV and Mos Eisley would be the best. Kashyyyk, Naboo, and Death Star II would work well too. I think there should be heroes, but not as many as in GA. I want it to be a memorable experience when I come across a hero rather than a constant nuisance. 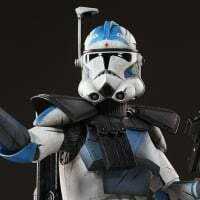 Preferably era-locked once we get the Clone Wars heroes but I understand that balancing issues would make that unlikely. Another question would be how to manage vehicles. I think armor vehicles (AT-STs, Hailfire Droids on Geonosis, AT-RT) speeders, and starfighters should still spawn in with BP the same way they do in GA. I’d like to see heavy artillary vehicles (AT-TEs, AT-ATs) already on the map and enterable with multiple gunner positions and full user control like the old BF games. Not sure how capital ships are supposed to be involved, possibly the mode could be like the Naval Strike DLC mode from Battlefield 4 where the control points are artillary cannons and controlling a majority of them drains the other team’s capital ship’s health faster. Would be cool if on Geonosis the capital ship is a CIS drop ship and the Republic mobile laser cannons are involved. Someone mentioned the Capital Ships thing in another post (ik I did above, but I forgot about this) and it reminded me of something the old game had -Conquest, but on two capital ships in space where you had to fly across to the enemy ship, hop out and take over a command post, then hold that whilst your team spawned there and invaded the enemy ship. That could be what they're suggesting, which in turn suggests at least one more map which is probably exclusively for Conquest - maybe the space battle over Coruscant?